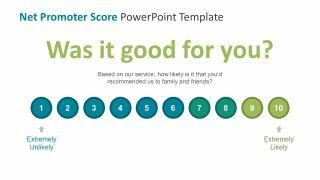 The Net Promoter Score PowerPoint Template is an outstanding management tool presentation to measure loyalty of company’s customers. 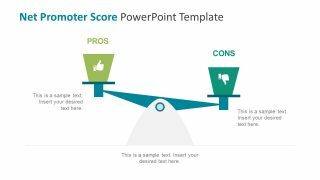 The slides of this PowerPoint present an alternative methodology to the traditional and lengthy customer satisfaction research process. 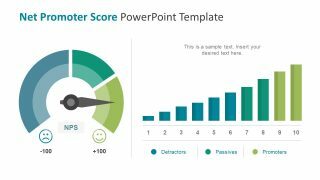 The template contains 16 slides of detail net promoter score designs. 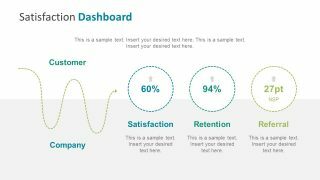 This tool is helpful to analyze the loyalty of customers, clients and employees. 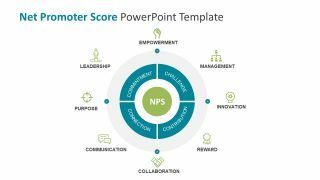 However, the NPS for employee engagement has four driving components. 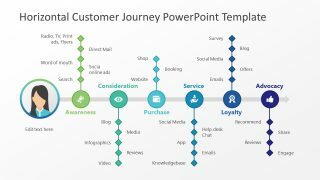 These include, Commitment, Connection, Contribution and Challenges as key components influence by 8 components at organizational level. 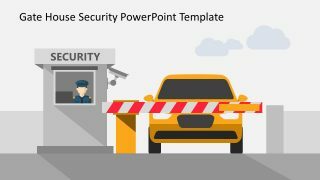 Hence, the circular model on second slide presents the 8 indicators which can motivate or demotivate the employees. 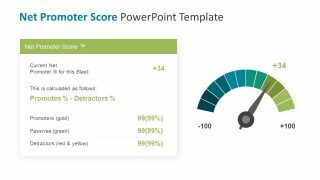 Further, four components (4 C’s) that drive engagement and overall employee satisfaction (NPS). 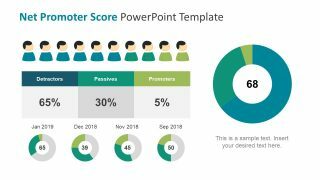 The Net Promoter Score PowerPoint Template is a slide deck of 16 amazing layouts and visually interactive designs. 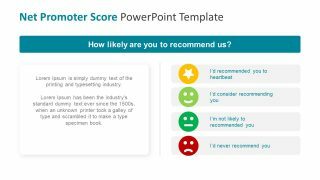 The NPS is basically a single question survey method to assess the likability of company, product or services etc. 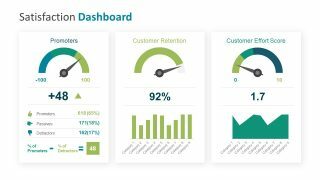 For example, the dashboard, bar chart and horizontal measuring scales to illustrate the three outcomes of NPS calculation. Here, these outcomes are Promoters, Passive and Detractors. 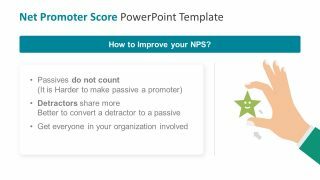 The calculation of Net Promoters Score depends on answering the question by scoring it on 0-10 scale. 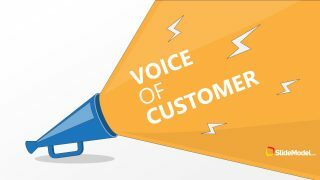 For instance, how likely do they recommend the company/product/service to a friend or colleague. 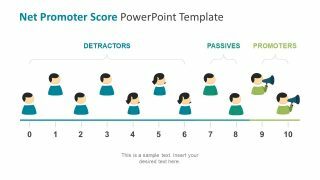 A customer scoring 9-10 are promoters, 8-7 are passive and anything less than and equal to 6 is detractor. 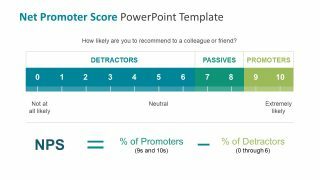 Therefore, the net promoter score calculation formula is simply to subtract the percentage of detractor from promoter. 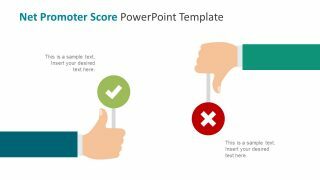 The template presents incredible details to the net promoter score PowerPoint using impressive clipart and infographics. 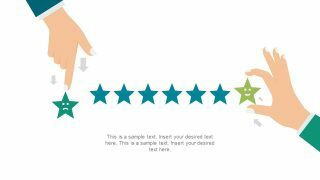 The measuring scale templates assists the audience to distinguish three outcomes through color variation. Additionally, the creative infographic icons for scoring includes emojis and impressive speed meter graphs. 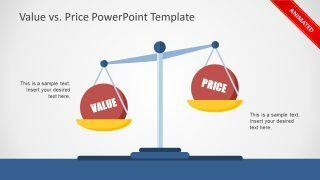 Moreover, the weight scale clipart, thumbs up and down and data driven donut graph are exclusive design to calculate NPS. 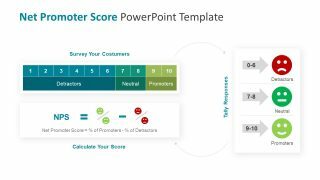 The net promoter score template also contain customer satisfaction concept design to display the retention and referral percentage of employees.